If you’re planning on falling in love…When it comes to the confident, charismatic Caleb Parker, Sadie Lane feels the spark—the kind that comes from rubbing each other the wrong way. She’s a tattoo artist, he’s a straight-laced mogul. But after they accidentally co-rescue an abandoned dog from a storm, Sadie sees a vulnerable side to the seemingly invincible hottie. you’d better be sure…Caleb doesn’t do emotions. Growing up the underdog, he’s learned the hard way to build up an impenetrable wall. Perfect for business. Disastrous for relationships. He’s never worried about it before—not until he finally gets behind Sadie’s armor and begins to fall. So, yeah, this isn't out until January 22nd. I'm currently reading an eArc of this for review and have a print copy pre-ordered already. I love reading her. I will award the print copy to one lucky winner. 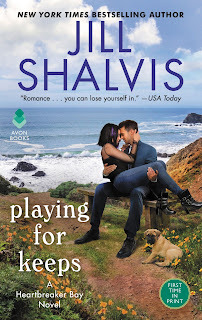 I want to hear from Jill Shalvis readers. What is your favorite book by her? Contest is open to U.S. mailing addresses only. Book will be mailed to the winner once I get the print copy. 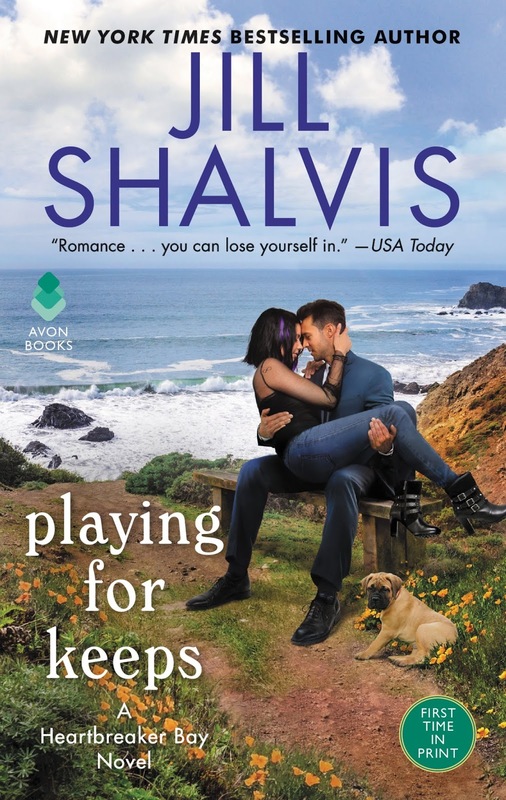 Ooh, an arc by Jill Shalvis. Heaven! I read all of Jill's books. Thanks for the giveaway. Double Play. Love sports related books. Need to catch up on several of Jill's books. Am going to make a list of what I need to read. It is hard to pick one. I will say One in a Million. Thanks for the chance to win this new one. Ooh, I'm not sure. I love a lot of her books! Like Patoct, I loved her baseball duet. I also loved her Firefighter trilogy--White Heat, Blue Flame, Seeing Red. Impossible to pick, but I will go with an older one - Instant Graftification. Hard to pick but if I had to "Still the One". But I also love the Lucky Harbor books.